At least the "World Cup Party" was a total success since Germany are World Champions now YAY. 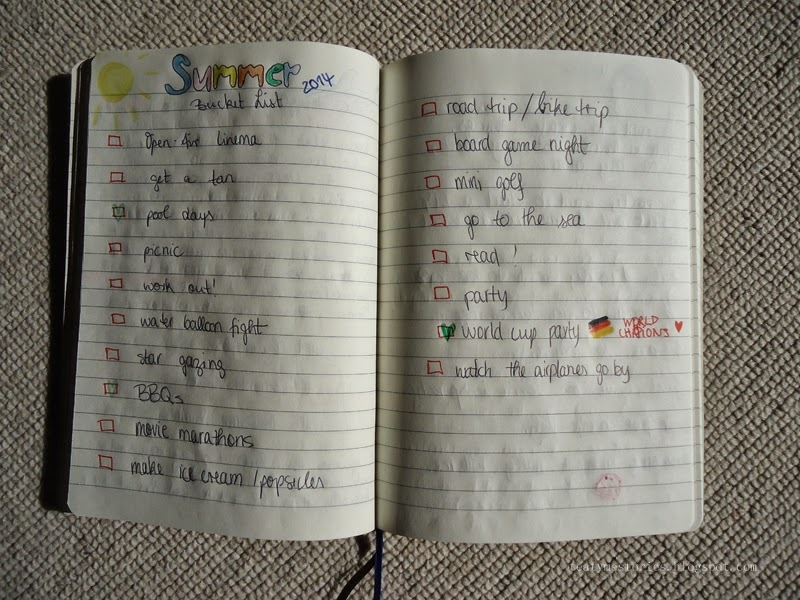 I love summer and I want to do as many things as possible of this list (and even more that didn't come to my mind) but I'm also already looking forward to autumn! But for now, I just hope the weather will get better soon and summer still lasts for weeeeks! Tell me what's on your Bucket List this summer! What does "Happiness" mean to you? “To die will be a great Adventure"